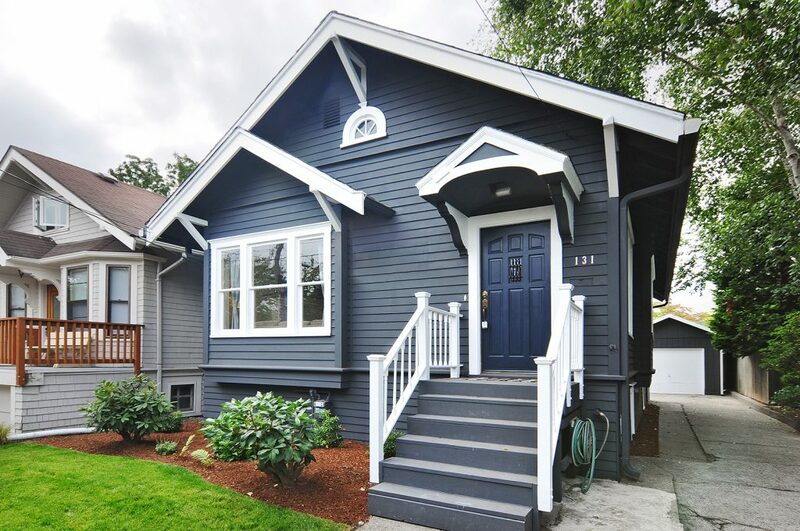 After we helped her purchase a great Capitol Hill townhome close to her son and his wife, this client wanted to sell her 1911 Craftsman, so she could move into her new lower maintenance townhome for her retirement years. This charming Phinney Ridge Craftsman needed a little light updating before we launched it onto the market. Fresh exterior paint in a new modern color, a refreshed kitchen with new flooring, new stainless appliances and freshened up cabinets, an updated bath with new flooring, vanity and lighting and newly landscaped front and back yards. After the work was complete it was time to move forward with the marketing plan. It is imperative to highlight the beautiful upgrading done and focus on the incredible location. After only 6 days of being on the market we received a full price offer. After negotiating through the inspection, we moved on to closing. Thanks for letting us help you with your townhome purchase and house sale Cathy!